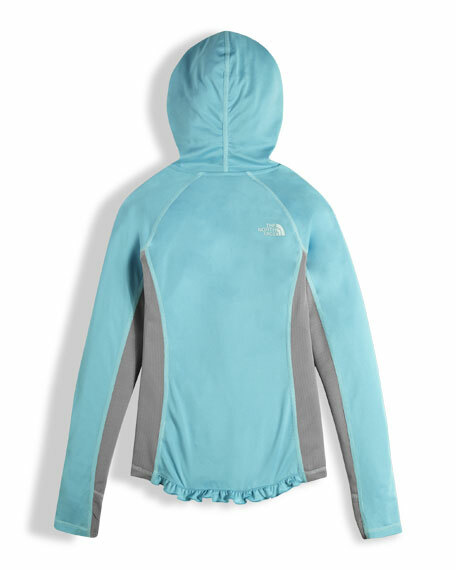 The North Face "Reactor" hoodie in Reaxion Amp. Contrast FlashDry mesh panels at sides, hood trim and arm interiors. 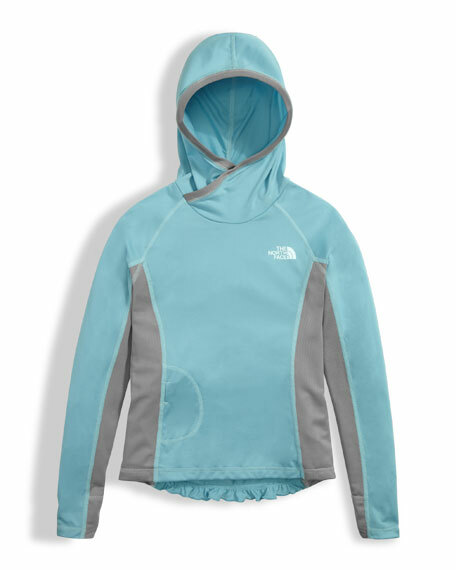 Crossover funnel neckline with hood. Hidden side pocket at right. Ruffle detail at back hem. For in-store inquiries, use sku #2333593.